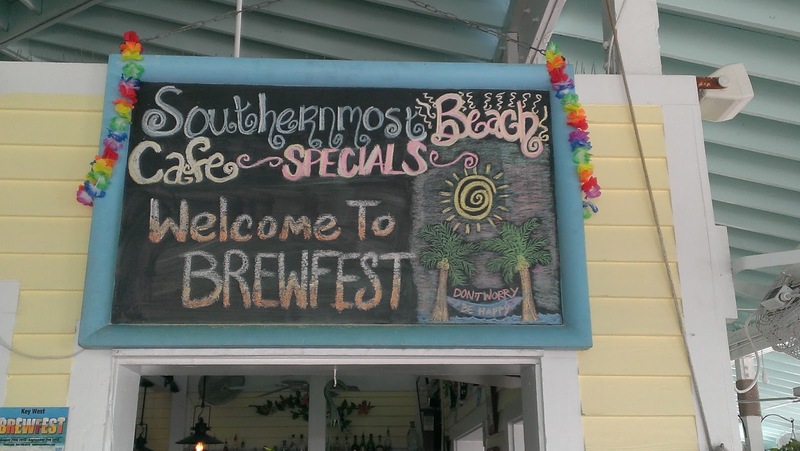 BrewNymph®: Key West BREWFEST Was A Blast! 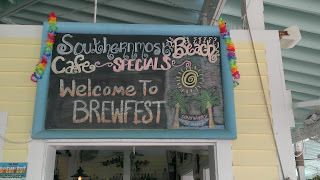 Key West BREWFEST Was A Blast! Alright, it's Key West, and there was lots of beer involved. Of course, it was fun (duh). A great way to spend the Labor Day Weekend! 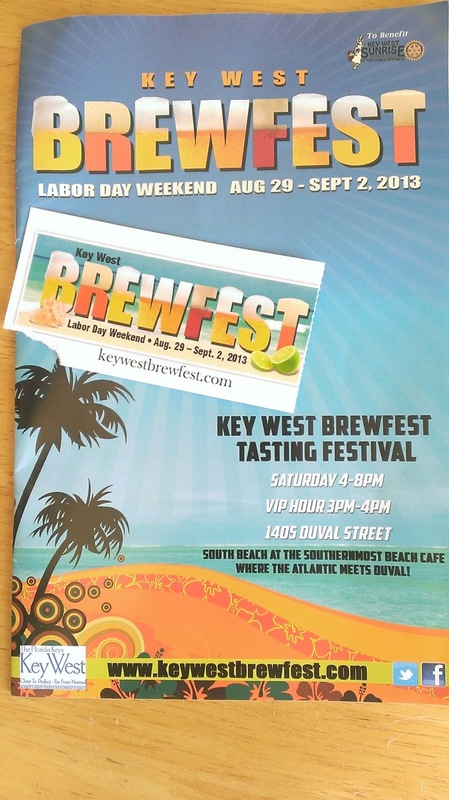 The main event, BrewFest, on Saturday, Aug. 31, rocked South Beach at the Southernmost Hotel. Like the program said, "where the Atlantic Meets Duval." 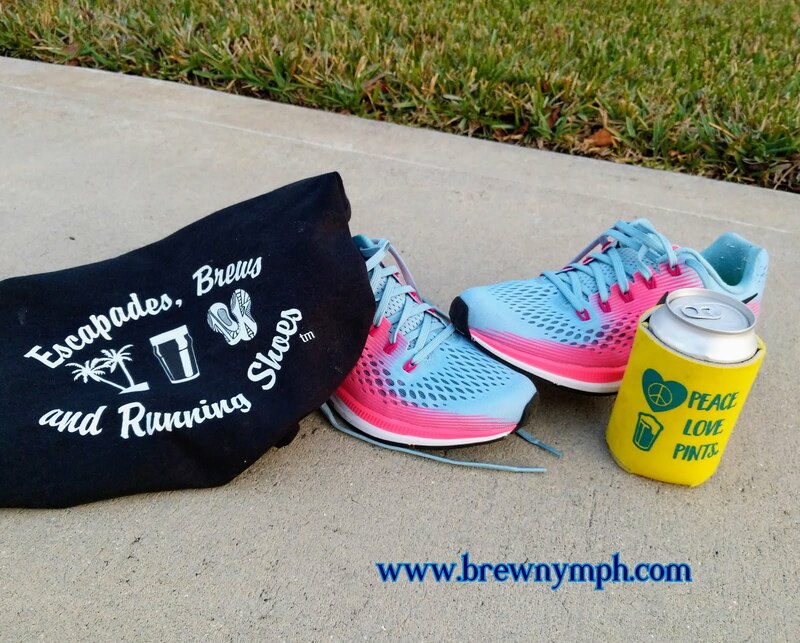 But, that wasn't all: there were quite a few brewers' parties, beer dinners, tap takeovers, pool parties (yes, with bikinis and beer) and even paddleboard events, all around Duval, Greene and other famous (or infamous) streets and venues (Sloppy Joe's, Krawl Off Duval, World of Beer, Willy T's, The Green Parrot, Camille's, Smokin Tuna, The Porch, and others). Let's just talk about the main event here for the time being. I'll get to some of those parties later. 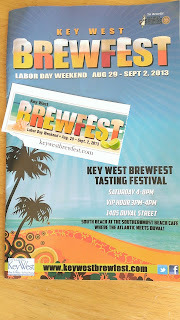 The official program listed 55 beer booths! 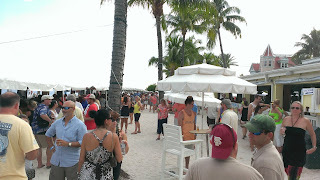 Yeah, that's right, 55 beer vendors all on one beach, on the sand, wading distance to the beach and sea. Sure, it was hot, but we expected to get a little steamy. 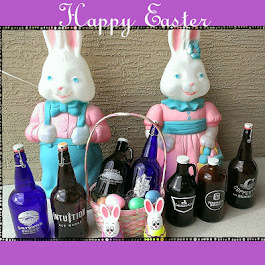 The Drink Like A Local campaign had a group of Florida Breweries in the Center Pavilion arranged in a square. See some familiar names there? Yeah, no doubt. Other Florida breweries were located at the Entrance Tents and Pavilion 1. 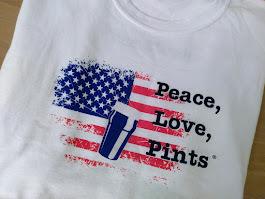 But hey, there's more: breweries from Colorado, New York, California, Michigan, Hawaii, Washington, Georgia, Vermont, Oregon, Delaware and Scotland were also represented. So, the beer was flowing in our souvenir glasses. The VIP entrance opened at 3, and general admission started at 4. And, it lasted til 8pm!! 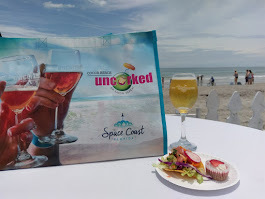 A hot day on the beach, drinking samples of great beer! 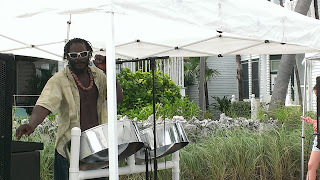 And, there was Caribbean DJ music and a lot of dancing going on (I guess that's what you'd call it). Not wanting to implicate anyone in compromising behavior or bodily positions, I will not post pictures of the "dancing" here. (Was that Miley Cyrus? Sorry.) But, the main thing, a good time was had by all (some apparently a bit more than others), even the ones who couldn't see, walk or talk straight by the end of the night (and, yes, they were out there). This was the 4th Annual BrewFest, but my first. Next year will be my second! 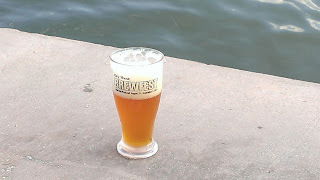 Oh, yeah, there are a lot of pictures of BrewFest on the site www.mileZerokw.com, a social event site. If you look really hard, there's even a picture of yours truly in there somewhere between the other hopheads, the beer, and the sand. 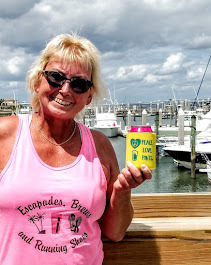 If you can get away next year over Labor Day, take the drive south on US 1 and get your beer-lovin' butts, tanktops, and shorts over here. 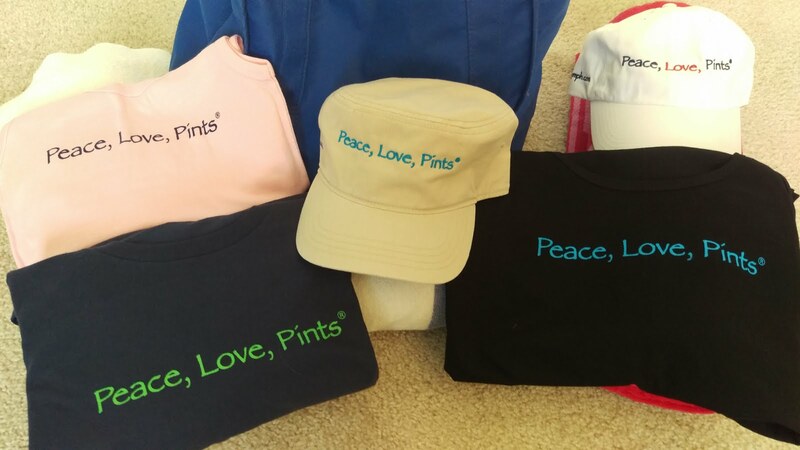 Oh, how 'bout that: that's the subject of the next post, On the Road to BrewFest! Yeah, I hit some great places along the way. 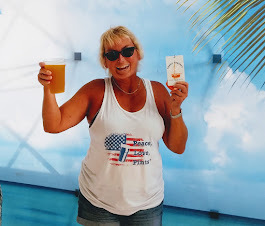 That to be followed by the Jimmy Buffett-inspired Key West: Searchin' for My Lost Bottle of Sun-In, and, Places I Didn't Get To, But Wanted To, And You Should Go There. Til next time, Sweethearts! Thanks for the ride! ﻿©2013 Brew Nymph. All rights reserved.